Premium paint brand Benjamin Moore is refreshing its own image by revamping Main Street America’s. 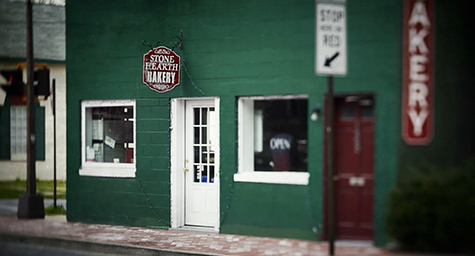 As part of its heartwarming “Main Street Matters” campaign, the 130-year-old company is planning to repaint 20 American main streets as a way to share the inspiring story of its own Main Street heritage and proud history of supporting smaller independent retailers. By shifting its focus away from the do-it-yourself audience, this new strategy will allow the brand to distinguish itself from the competition. Their timing is ideal since the housing market appears to be finally on the road to recovery in the form of higher home prices, sales, and ad pages. The cost of this brand renovation will be about a 60% increase in the company’s ad budget, which was reported to be $14 million in 2012. AdAge.com covered the details on how Benjamin Moore is updating its image by upgrading America’s. 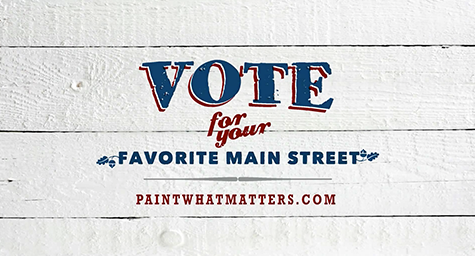 The “Main Street Matters” campaign will include TV, print, radio, online, and social media marketing that encourage people to go online to PaintWhatMatters.com and vote for their favorite towns. 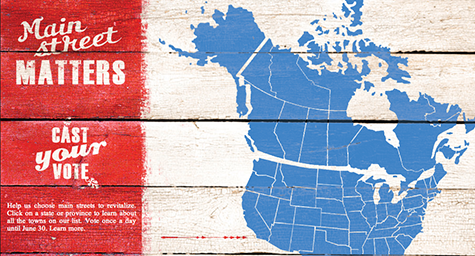 The campaign will revitalize cities and towns across North America, and will run through the next year. A highlight of the campaign will be a 30-second TV commercial voiced by Brad Pitt who will remind people about the nostalgic benefits that make Main Street matter. The company has had an ongoing partnership with the actor through his Make it Right charity which constructs healthy houses, buildings, and communities for people in need. In a display of support for the types of Main Street businesses the campaign advocates, the company chose smaller and medium-sized newspapers to run their full-page print ads to announce the contest. Online voting will be open through June 30 when the top 20 towns will be selected. Then, Benjamin Moore will work with their national retailers and local partners in each city to professionally paint the chosen Main Streets. 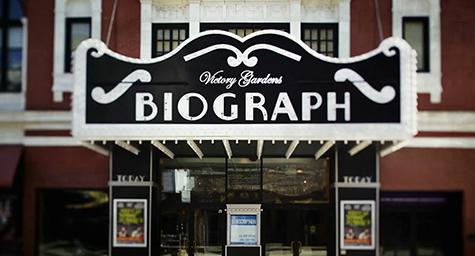 Each of these painting projects will be filmed and the footage will be used in the brand’s upcoming marketing and for a possible documentary. According to Mr. Melancon, Benjamin Moore’s high-end products and established reputation in the industry set the brand firmly apart from its competitors. To further distinguish its appeal, the company has a number of exclusive designer and retail partnerships and plans to add even more in the coming months. The brand’s marketing shift away from the do-it-yourself consumer is based on their belief that their paint is best used by a professional. They still want the consumer to select their colors, but they prefer the actual painting to be handled by a designer or contractor. For this reason, shoppers will still be able to purchase paint online, but it must be picked up at one of the 4,000 local Benjamin Moore retailers. This will bring shoppers into the local stores and ensure that these small businesses get the patronage. Implement a socially responsible marketing campaign and everybody wins. Contact MDG Advertising today at 561-338-7797 or visit mdgadvertising.com.